As a permanent resident of Muskoka I cannot tell you how many times I’ve been asked the question, “What do you do up there in the winter?” My response can be so lengthy it deserves a blog posting. I do agree with the tourists and cottagers that the summer months in Muskoka are unforgettable; the endless daylight hours, the crisp morning boat rides, the midnight dips, the countless social events and of course the picturesque landscape. But as I look out my window today with the large snowflakes falling on the frozen lake – I have the same endless love for Muskoka. For most of us year-round residents, our busy time is during the warm summer months – at least for my family. We don’t get the chance to sit on the dock and relax during the summer; we save that for the winter. This is the time of year we catch up with all our friends and enjoy family actives together. When I decided to move back to Muskoka permanently after being away for school and travel, I made a pact with myself to enjoy all the snow has to offer. We fill our days with snowshoeing, cross-country skiing, downhill skiing, figure skating, playing hockey, curling, ice fishing and of course snowmobiling, most of which can be done right outside our front door. When we do go to “the city” for a weekend there are no fun winter activities waiting at the doorstep; instead there are indoor malls, underground pathways, parking, shopping and eating… No thank you! I’d rather be above ground where the air is clean and crisp and north where the snow is light and fluffy… not slushy. Come to Muskoka this winter and understand why we love EVERY season! Check out Taboo Resort a great place to enjoy the snow! 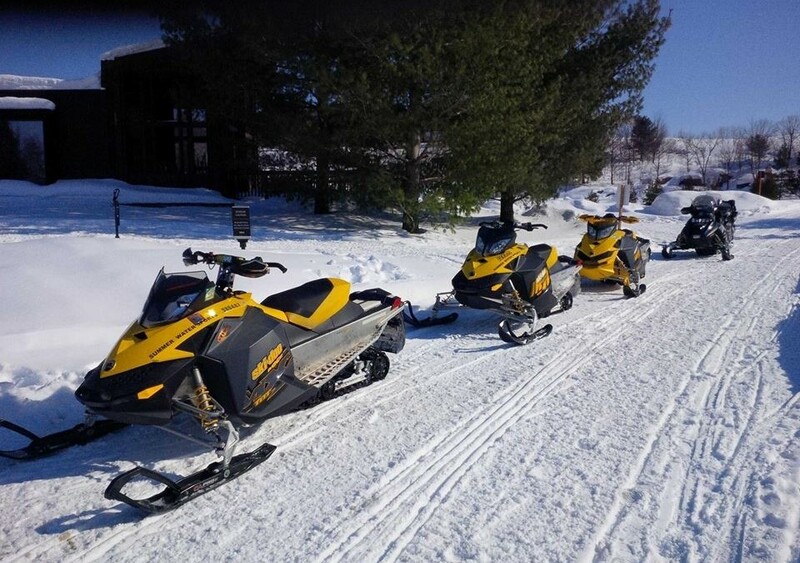 While you are there make sure to explore Muskoka’s snowmobile trails – book a rental or tour today with Summer Water Sports.